It uses a 40kHz focused ultrasound cavitation effect, to cause tons of microscopic air bubbles to surround thefat cell membranes and with its resonant frequency, the bubbles cause a high enough power to cause the fat cells to break up instantly. The brokenfat cell are then moved to the liver and safely metabolized out of human body which is assisted by drinking a lot of water.It produces effective of fatty acids from adipocytes (fat-laden cells) due to a phenomenon known as stable cavitation, and increased cell permeability of the adipocytes. You get an increased flow of triglycerides. Furthermore, there is a breakdown of the fibers through mechanical action (\\"jet stream\\"). Finally,some content of adipocytes is metabolized by the liver and eliminated in the urine. Vacuum suction operation is applied to the surface of the skin tissue causing lift and stimulation of the under-lying structures.Meanwhile,vacuum suction isaimed at improving blood flow and lymph circulation.After that,collagen fiber derma gets heat trough RF energy so skin on body or stretch marks tigthend;then the heat from derma makes the rebirth of collagen and the new collagen arrange neatly and healthily,meanwhile the old one get fixed,At the end,we get the result we want on wrinkles,stretch marks and body. Ultrasound cavitation 1.0 handpiece use 40KHz wave to cause violent collision to the fat cells and break them up instantly, then broken fat cells are removed via body metabolism, lets body slimming and re-shape. It use on thighs, arms and belly. 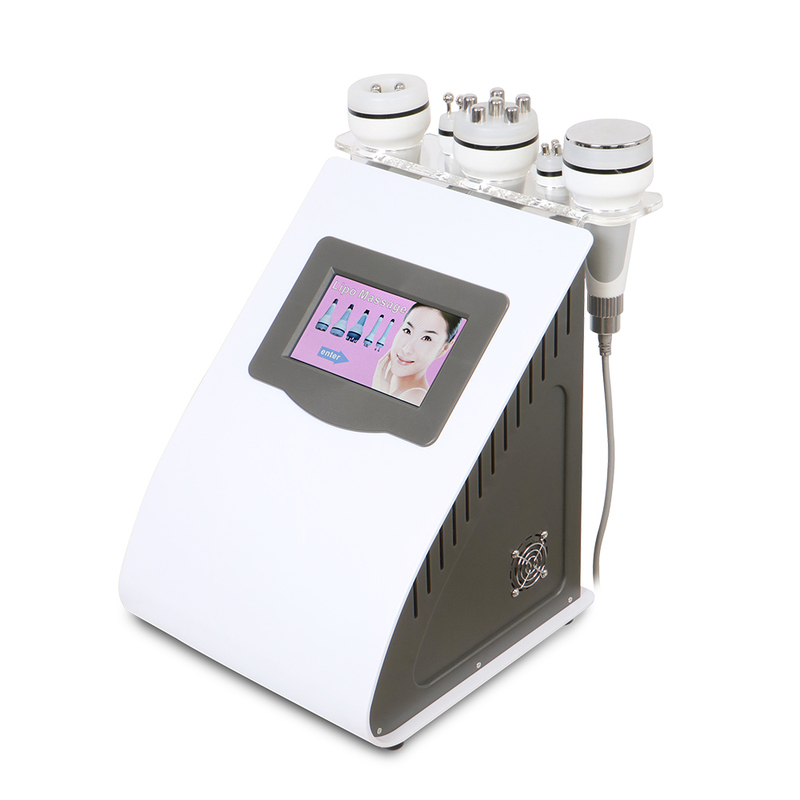 Radio Frequency Vacuum handpiece lift and stimulate the skin under-lying structures, improving blood flow and lymph circulation, and RF heats collagen fiber derma to make the rebirth of collage, thus smooth wrinkle and lift skin. It use on legs, waist, belly. 3-Polar Handpiece heats the dermis layer to shrink the collagen cells under the skin and promote the regeneration of collagen cells, so that the skin becomes firm, full and elastic. It use on face and eyes around. Bio Microcurrent handpiece lets the muscles do passive exercise, promotes the burning of fat, makes the facial muscles tighten, and promotes the blood circulation of the face, eliminates the edema, thus firming and smoothing the skin. It use on eyes around, face and neck.